Looking for something out of this world for Valentine's Day? 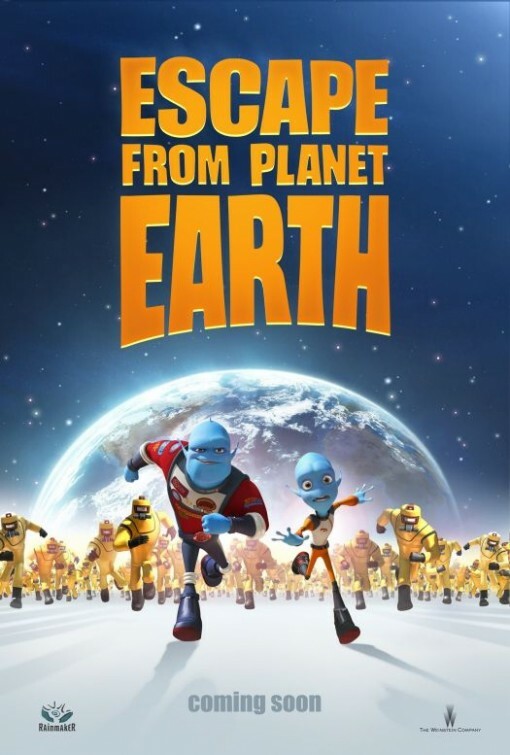 Grab the kids and blast off for planet Baab with The Weinstein Company’s new film, Escape from Planet Earth, which hits theaters on Friday, February 15th! The 3D animated family comedy catapults moviegoers to planet Baab where admired astronaut Scorch Supernova (Brendan Fraser) is a national hero to the blue alien population. A master of daring rescues, Scorch pulls off astonishing feats with the quiet aid of his nerdy, by-the-rules brother, Gary (Rob Corddry), head of mission control at BASA. When BASA’s no-nonsense chief Lena (Jessica Alba) informs the brothers of an SOS from a notoriously dangerous planet, Scorch rejects Gary’s warnings and bounds off for yet another exciting mission. But when Scorch finds himself caught in a fiendish trap set by the evil Shanker (William Shatner) it’s up to scrawny, risk-averse Gary to do the real rescuing. As the interplanetary stakes rise to new heights, Gary is left to save his brother, his planet, his beloved wife Kira (Sarah Jessica Parker) and their adventure-hungry son Kip (Jonathan Morgan Heit). 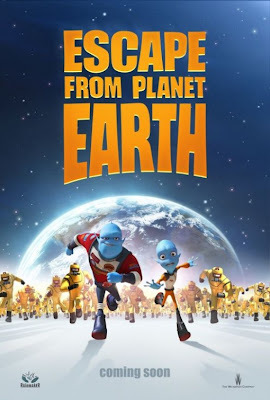 Enter using the form below to win a $25 Visa gift card to help get you to the movie along with an Escape from Planet Earth prize pack, including tattoo sheet, activity book & crayons, and a backpack clip. I was compensated for this sponsored post made possible by Mom Spark Media. Thoughts are my own. All prizing for MSM giveaways is handled by a third party unless otherwise noted. For this reason prize fulfillment can take up to 90 days after the winners information is received. I'm excited about the Evil Shanker (William Shatner). Scorch Supernova, I love Brendan Fraiser! I am excited about Evil Shanker. I want to see Kip. Im excited to see Evil Shanker the most! I would like to see Scorch Supernova. I'm excited to see Kira Supernova. Oh I cant wait to see Kira (Sarah Jessica Parker)! I like Scorch - thank you! Kira because I love Sarah Jessica Parker. That's too hard to say, I like so many of them. Scorch Supernova because Brendan Fraser is the man! Gary - Love Rob Corddry! I'm excited to see Kip. Gary. You gotta love the nerd saving the day! I want to see the Evil Shanker - I love Shatner! Entered the rafflecopter form as "Wild Orchid"